Álvaro Mutis Jaramillo, the prolific Colombian man of letters, died Sunday in Mexico City at the age of 90. Though he worked as a broadcaster, film executive, radio actor, and newspaper columnist, Mutis was most well known for his writing. 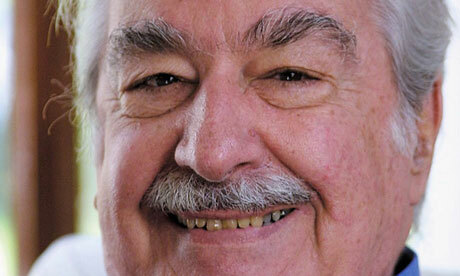 Nobel Prize winner Gabriel García Márquez called Mutis “one of the greatest writers of our time”. Mutis’s most enduring creation remains the wandering sailor Maqroll, the star of his many novellas collected in The Adventures and Misadventures of Maqroll. "The millions of friends and admirers of Alvaro Mutis profoundly lament his death,” Colombian President Juan Manuel Santos wrote. “All of Colombia honors him."